Check out the video above with the latest updates from Jonah Beyer, Mission U-Too’s President. The past couple of months, we have been talking about and asking people to partner with us financially each month. 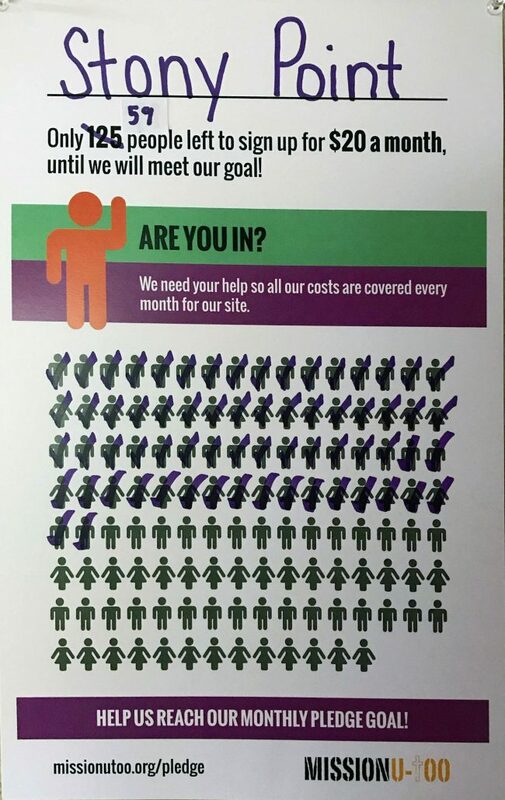 Our ask is simple: Can you commit to giving $20 each month? The ask might be simple, but the impact is huge. When you give $20 a month, you are allowing 10 people to be fed and reached for the Gospel every month. 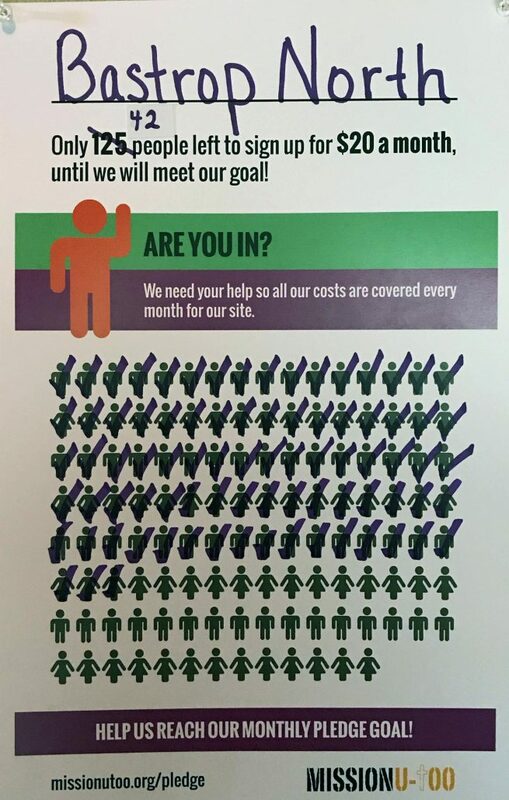 That’s 120 people you are impacting each year, just from giving $20 a month. 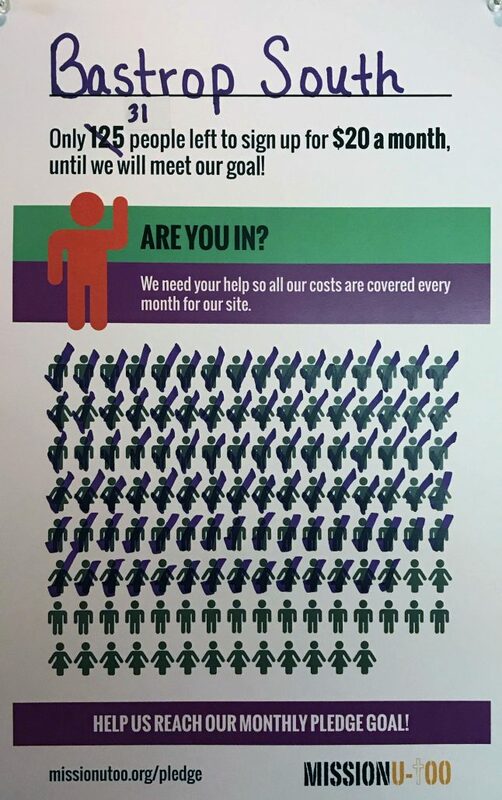 On average each community needs $2,500 in monthly pledges to cover all costs. 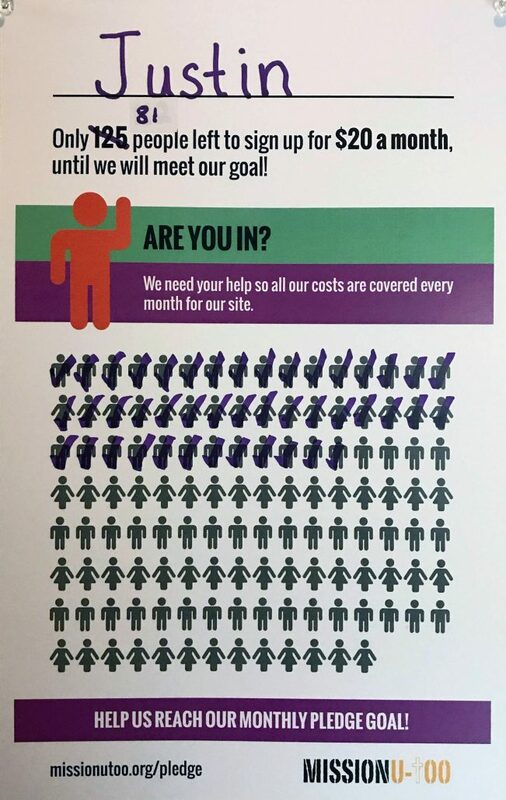 So we set the goal for $20 monthly commitments from 125 people from each community so all our costs are covered and we can focus on pouring into the lives of those who come to Mission U-Too each week. The progress we have made in less than two months is so encouraging. Currently, we have raised 60% of our overall goal for our six communities. And some individual communities are over 75% funded! Just check out the progress from each of our communities. 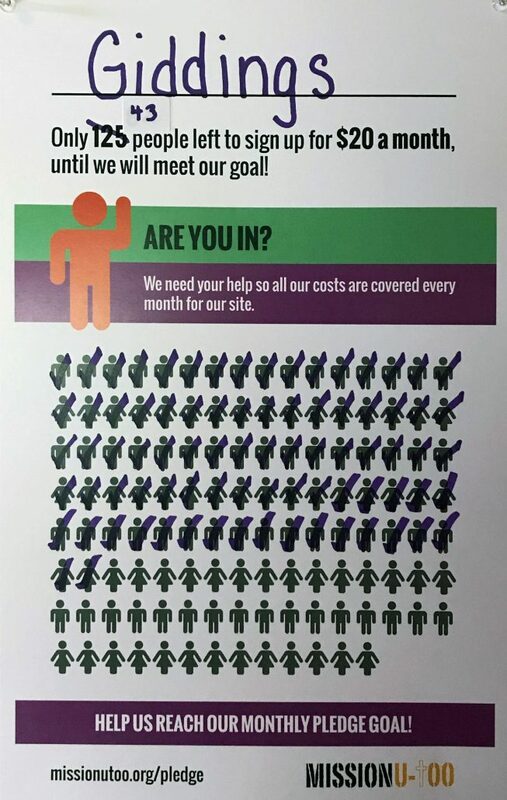 Our goal is within sight, but we still need your help to reach it! 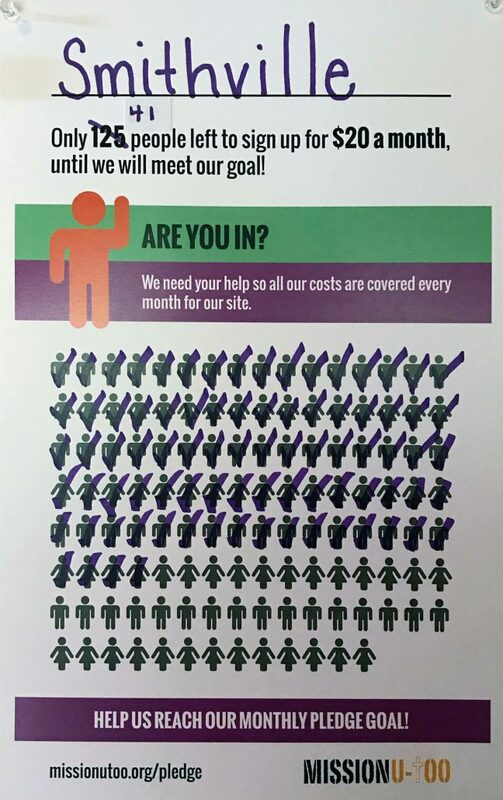 If you haven’t had a chance to sign up to give monthly, it’s not too late. Or maybe you are giving monthly, but you are able to give more. Any amount helps us to continue to serve our local communities and spread God’s love. Simply click here or the button below to sign up now.